The lawmakers told Pai in a letter the Committee is reassuming its traditional role of oversight to ensure the agency is acting in the best interest of the public and consistent with its legislative authority. Since Pai assumed the Chairmanship at the FCC two years ago, the agency has been unresponsive to Committee Democrats’ numerous and reasonable oversight requests, according to the lawmakers. 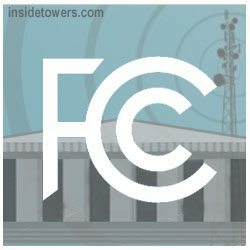 The Committee Chairmen requested that Pai provide information updating the Committee on FCC activities, including consumer complaints the agency has received on various topics, including: robocalls/spoofing, privacy, open internet/internet service speed, wireless service coverage/availability, access for individuals with disabilities, billing, rural call completion, telemarketing and unwanted calls. Similar requests were made to Pai’s predecessor, Tom Wheeler. They asked for written responses to their questions by March 4. Comments? Email Us.